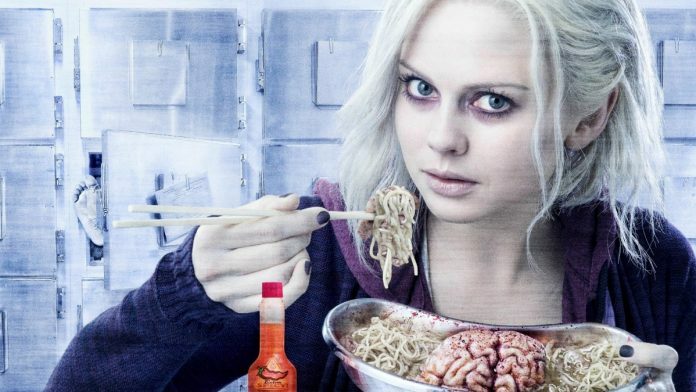 iZombie TV is a fresh take on a zombie-centered character when it premiered last March and ended last June 9. Review site Rotten Tomatoes gave it high ratings for its unique spin on a highly overused type of movie and TV character. New characters such as Rose McIver’s dad and other new people will be introduced in the upcoming season, according to Christian Today. Old characters like Peyton, Rose’s bestfriend, will continue to reel from the side effects of discovering Rose’s new identity. Dr. Ravi Chakrabarti’s efforts to find a cure for Rose will also intensify in the coming season. It is renewed for a second season, slated to premiere this October 6. The DC Comics-inspired show focuses on the life and exploits of Rose McIver, a medical student who transformed into a zombie and nourishes her new form by eating the brains of murder victims at her new job in a morgue. She then inherits the traits of the brains that she eats and she decides to use this in helping solve crimes behind the victims’ deaths by helping detective Babineaux. Peyton Charles was last seen running away from Rose after she learns that the latter is now turned into a zombie. According to CrossMap, this running away was done so that they can keep her pending status. If she decides to renew her contract for season 2, she can still return after running away; otherwise, she can remain on the run and the show will still have a smooth storyline. Moreover, in the previous season, Liv tested a cure on Major and Blaine. They will continue to experience the side effects of this cure even if they are already human. Major may have to playact as a zombie to keep people afraid, though, because it’s bad for business.